We've added video post analytics and other improvements to LinkedIn Insights. Video post analytics are now available! Video posts are now included in your Company Updates panel. Click on a video post to view the new analytics: Video Views, Video Viewers, and Minutes Watched. (Note: LinkedIn does not return Reach, Impressions, and Shares metrics for videos at the moment.) You can also filter this panel to specific post types. LinkedIn no longer provides a paid vs. organic breakdown of your current follower count. We've replaced that breakdown with your paid and organic follower net change. LinkedIn also no longer provides the number of New Followers each day. Instead, this chart has been updated to display Net Followers each day, meaning a negative number means you had more unfollows than follows that day. Previously, these panels were labeled Reach and Visitors but were actually displaying "update impressions" and "update reach", respectively. That's why we've renamed these panels. The Update Visitors count is now Reach / Day. The charts haven't changed. 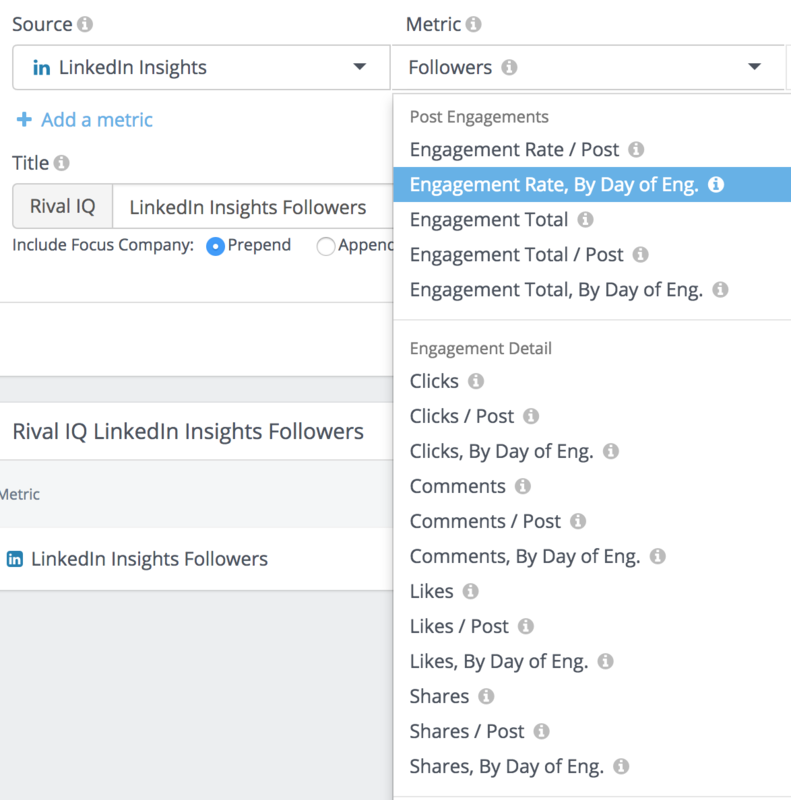 LinkedIn provides engagement metrics according to the day an engagement happened, so we've renamed those metrics' names to include "by day of eng.". However, throughout Rival IQ, engagement is counted according to the day on which a post was published. 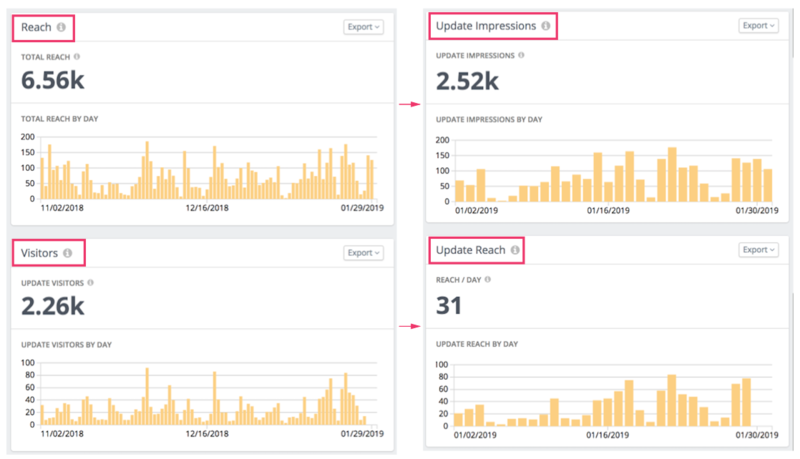 For example, if a post was published on Jan 5 and had 5 engagements, a time series chart would associate those engagements to Jan 5, not the day the engagement happened. In custom dashboards, you can choose to report on engagement either way! To view these LinkedIn updates, head to your LinkedIn Insights section. LinkedIn Insights is available on Engage and Engage Pro plans. 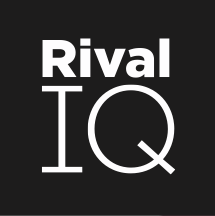 If you would like access to LinkedIn Insights, reach out to us by clicking the big blue button at the bottom right of the screen or email support@rivaliq.com.